Price is per 15 3/4-inch strand of these unusual beads - about 73 to the strand. Each measure 8mm x 5mm, drilled ready to thread. Heavy for their size! A type of tanzanite. 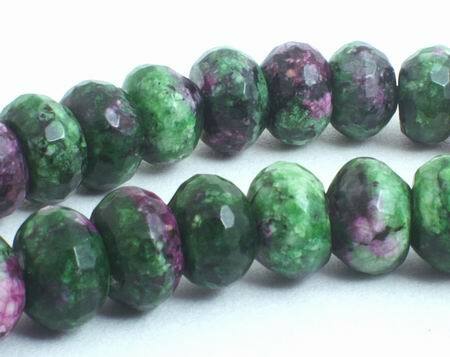 Ruby Zoisite is a creative stone, its energy coming from the red and green colors. In the chakra system red relates to creativity and sexuality, and green is associated with healing, balancing, and abundance.